Casio’s new 4K UHD projector and its full portfolio of LampFree projectors is being exhibited at DSE 2017 at booth #1824. Casio's 4K UHD model – the XJ-L8300HN - comes equipped with a 4K DLP chip that projects images of approximately 8.3 million pixels, reproducing the color of images at a higher level than conventional projectors. With its high brightness of 5,000 lumens, the XJ-L8300HN is great for brightly lit rooms and the big screens found in spacious venues such as large conference rooms and auditoriums. Also on display are Casio’s new Ultra Short Throw projectors, the XJ-UT351W and XJ-UT351WN, which offer an output of up to 3,500 lumens and can generate large images over a very short projection distance with a ratio of 0.28:1. Both models feature a 20,000:1 contrast ratio, Vertical and horizontal keystone capability, two HDMI ports, and a powered USB (DC 5V 2A) port. Thanks to Quick Start technology, the projectors are immediately ready to use and reach their full brightness within as little as five seconds. When using the XJ-UT351WN with the optional wireless adaptor, users can use the C-Assist app (available for iOS and Android) to control the projector wirelessly from a smartphone or tablet. From anywhere in a room, presentations can be wirelessly displayed over a large area via the projector. 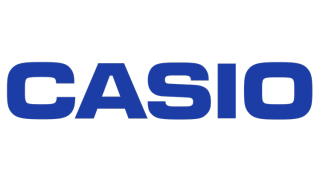 Additionally, Casio will have a variety of its new Core and Advanced Series projectors on display. Projectors in these series come equipped with a 20,000-hour estimated operating life, eliminating the process of having to replace costly lamps. The projectors also reach full brightness in as fast as five seconds from the time they are powered on, creating more time for usage and less time for set-up. A practical dust-resistant design is achieved by structuring the internal components into three blocks to shield the optical block from dust. Both the Advanced and Core lines also feature models that come equipped with 1.5X zoom lens for optimal flexibility in projector placement. Casio’s Core, Advanced, Ultra Short Throw, and Slim series projectors are powered by its LampFree technology. This technology combines a laser and LED light source to create a high-brightness, mercury-free tool that uses up to half the amount of power per unit than other lamp-based projectors. This makes Casio’s projectors a safer and more affordable choice for organizations and companies that are looking to not only go green but also save money at the same time.